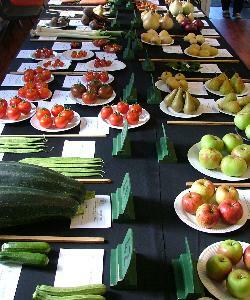 Crowhurst & District Horticultural Society was founded in 1972 and aims to encourage the growing of flowers, fruit and vegetables and to promote cookery, handicrafts and photography among the people of the village of Crowhurst, East Sussex and the surrounding area. 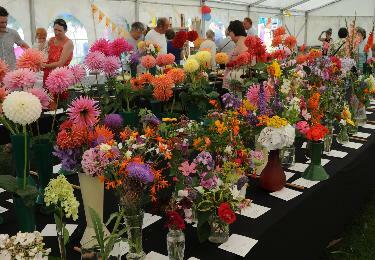 Each year, the Society holds three flower shows; a Spring Show in March, a Summer Show in August and an Autumn Show in September. Our shows are open to all and we welcome entries from everyone! In addition to our flower shows, we hold several other events throughout the year. Our year begins in January with our first fundraising Jumble Sale of the year. After our Spring Show, our next event is our annual Plant Sale in May. In the autumn, we hold our AGM and second Jumble Sale of the year at the end of October, before finishing our year with our fun Christmas Quiz evening in December. As a member of the Society, you are entitled to free printed copies of our flower show schedules along with reduced ticket prices for our Lecture and Quiz evenings.